Isn’t it true that writing reflects our voice, our opinions and our ideas? Being a writer myself, I understand and value the meaning of writing and the power that it holds. Through blogging, my thoughts got a voice and eventually, I entered the arena of professional blogging, that is, getting paid for what I love. Isn’t that satisfying? Throughout my journey of professional blogging, which is almost 2 years for now, I have been approached by many brands and PR agencies for writing and supporting their voices. But, I always felt the need of consistency. A commonplace which offer bloggers and content writers, the much needed space to experiment and choose their work. With content marketing and content writing finding a greater niche and value in almost every space of work, there is a dire need of Content Writing platforms to evolve and support the growing number of writers. 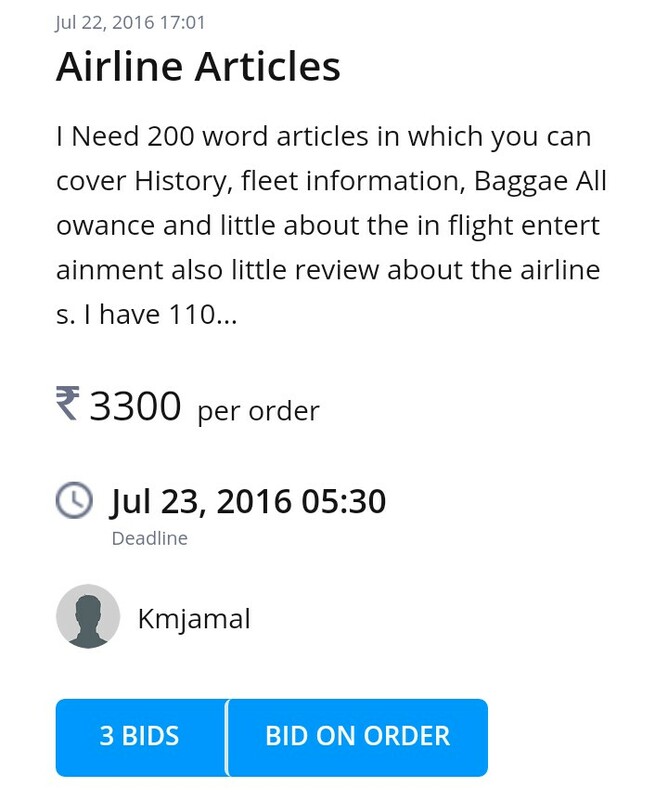 But, online writing platforms also need trust and reliability in terms of payment and work. Recently, I had the chance to review ContentMart, which goes by the tagline, “An Excellent Content Writing Platform for Both Clients and Writers”. 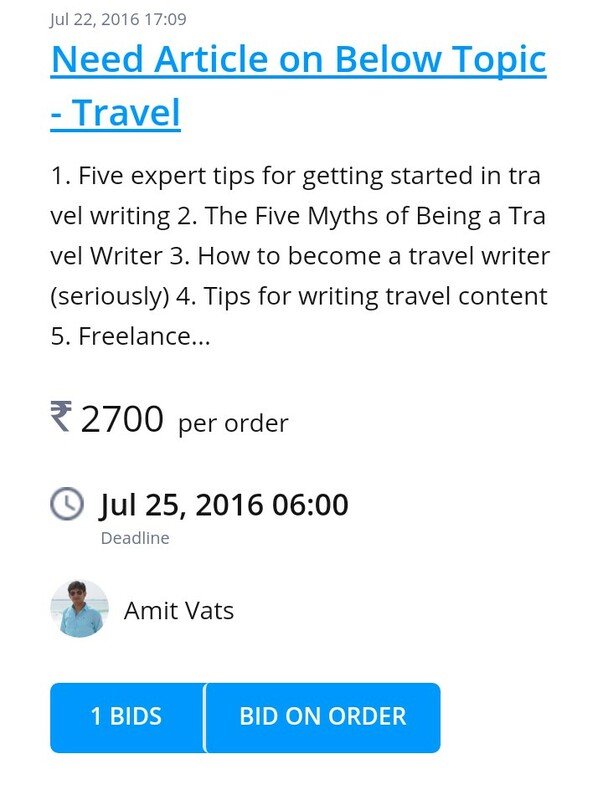 It is an online content writing platform which connect writers with clients/brands and vice versa. How is the registration process of ContentMart? A Login/Register Button is available at the top right corner of the webpage and when one clicks the Register button, it prompts whether it is a client or a writer registration. 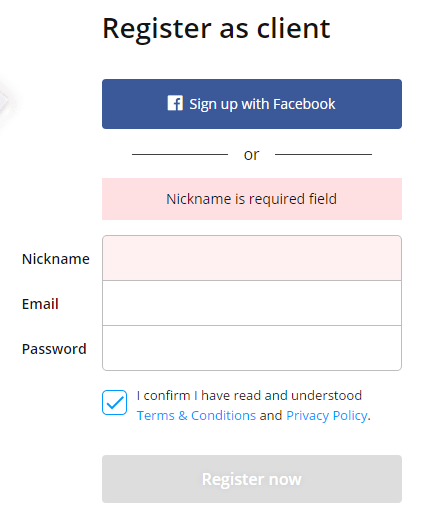 In both the cases, a registration page is loaded which allows one to either register socially through Facebook, or do a complete registration. Once registered, we are provided a confirmation link in the registered email ID and lo! You’re registered as a respective writer or client. How does ContentMart benefit the Clients/Brands? ContentMart in the first place, is a host to 44378+ writers, thus it has ample amount of options for the clients to select from. The writers on ContentMart belong to a versatile list of categories, ranging from Copywriting and web content, SEO content, Content for Brochures, Articles and blog writing, Testimonials, Product descriptions, Press release and, Editing and proof-reading. A client is simply required to Post an order, specifying their project price and description -> Pick a writer from the pool of interested writers -> Review the content sent by the selected writer and act upon the content according to their needs -> Done! They pay only for what they like as every content that is submitted on ContentMart is checked with an anti-plagiarism algorithm. Content which clears the anti-plagiarism algorithm by 90% is considered as Acceptable unique text and content with uniqueness equal to or above 95% is considered Good. If the content’s uniqueness is less than 90%, the content is automatically returned to the copywriter for revision. 0% Commision which means that the client pays directly to the copywriter. While ContentMart have only a commission of 10% for the withdrawal of funds. 100% Refund on content which is not liked by the client and ContentMart ensures 100% refund of money on the respective project. How is ContentMart beneficial to the Writers? ContentMart is home to 40,793+ clients and brands from across the world and thus provides ample amount of writing opportunities for the writers. Anyone who is good at writing and has effective writing skills can become a writer at ContentMart and be a part of this huge community. ContentMart has writing opportunities on a daily basis, thus providing writers with consistent and legitimate work at their fingertips, every now and then. The entire process is 100% safe and secure, from writing to getting paid, thus ensuring that the writers focus on their project. On successful registration at ContentMart, the writer can update their profile by filling in the necessary information, like expertise, niche, languages and so on. It also has a Portfolio section which enables writers to submit their best content for the clients to review for any project. The best feature at ContentMart for writers is the Verification Tool. It is a basic test on the languages that the writer provides and they have to simply clear the test to be verified for that respective language. Apart from that, there is a Verified Writer Test which gives strong assurance to clients to work with the writer from ContentMart itself. Once all the basic information is filled and the tests are cleared, the writer can search for orders or projects under the All orders tab. The writer can select any relevant project which suits their interest and bid for the same. The writer can view all their projects under My orders Tab. It also comes with an Affiliate opportunity for the writers, thus enabling them to invite fellow writer friends and earn 10% of their order price for every order they complete till one year. What’s my verdict on ContentMart? It completely lives up to the expectations of its tagline. I am myself a ContentMart writer and have found the process quite exciting, transparent and secure. I’d recommend it to all my fellow writers and friends to join ContentMart as it is a good opportunity for writers. Have you tried ContentMart? How was your experience? What is your view on an online content writing platform? Share your ideas, opinions and thoughts in the comment section.